There are few things that can make your heart drop faster than seeing the check engine light on your dashboard blink on. You might wait for a day or two to see if it goes away, but it taunts you – just glowing all smug and ominous until you finally give in and take it in to get checked out. Fixd is a tool that you can use at home to decide whether your check engine light indicates a serious problem that needs to be addressed right away or one that can wait. It’s a small device that plugs into the OBD-II port on your car to read whatever error messages are causing the problem light(s) on your dashboard. This is the same type of diagnostic tool used by mechanics, but it will save you the “diagnostic fee” they typically charge. 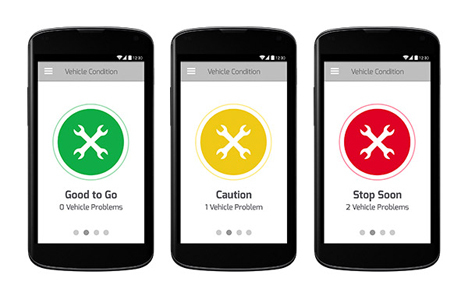 The app that accompanies Fixd tells you where the problem is, what the consequences of the problem might be, and approximately how much you can expect to spend o the repair. 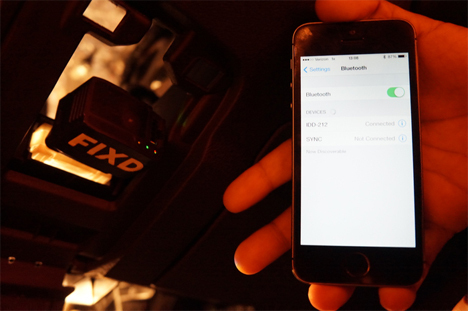 The app, which communicates with the plug-in dongle via Bluetooth, also helps you track scheduled maintenance and service. The app stores information on multiple cars so you can keep track of important information on the state of all of the cars in your household. 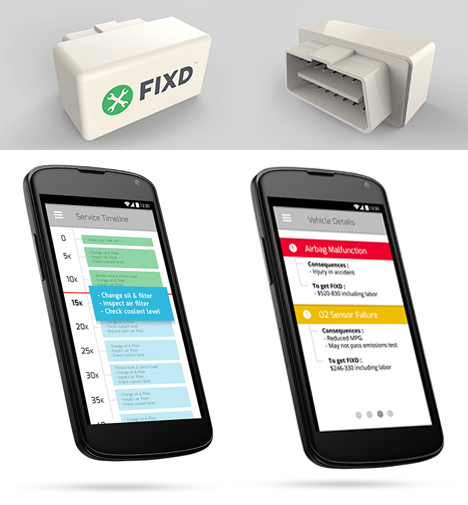 Fixd is raising money on Kickstarter to fund the production of the dongle and development of the iOS app (the Android app is already up and running). As of the time of publication, the project has already surpassed its funding goal. See more in Cars & Trucks or under Transportation. September, 2014.